A couple of people have asked me why I’m off to Dallas for five days on Sunday. My friend and fellow TOM member Anders Michael Hansen (present Principal of the Skandinavisk Akademi for Lederskab og Teologi) is in the process of gathering a group of European church planters who will be meeting up twice a year over 2007-09, to cross-fertilise: to share the models they are developing, what they perceive to be their strengths and weaknesses, to learn from each other. Anders Michael will be overseeing the group, along with Mike Breen (present Superior of The Order of Mission). I’ve been asked to be involved in a small team who will facilitate the group. We’re going to Dallas to get some training at the Leadership Network, who are looking to fund the project. 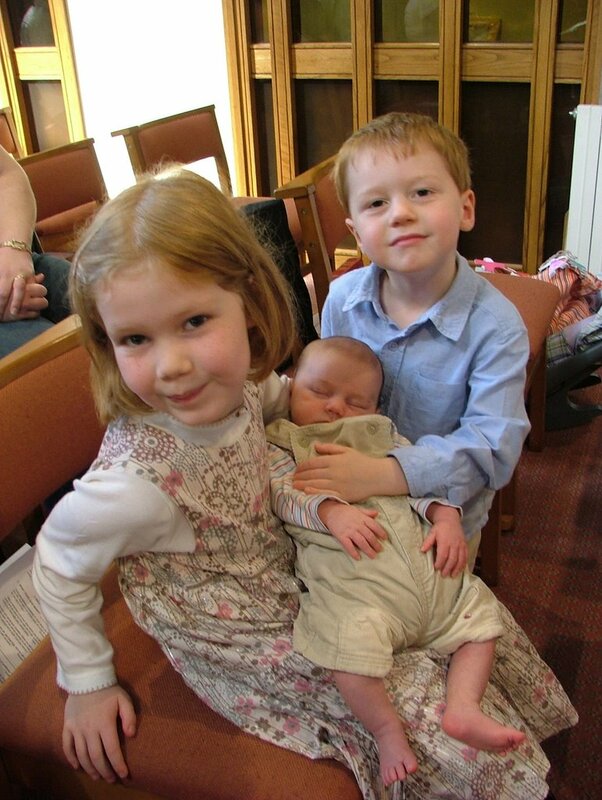 To be honest, I’d rather not be away from the family at this time – Elijah is six weeks old today; and though I went to Sweden when Noah was a new baby, three are more of a handful than two! But I’ve been looking for a way to be involved in European missional church experiments, at a strategic networking level. And if I have to go to Dallas first in order to do so, that – along with gifts for Jo and the children on my return! – is a small price to pay. It was a beautiful afternoon, and I went out into the garden with my camera. 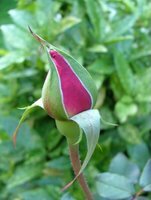 At the same time, the rose bush on the other side of the lawn is in bud again: the latest bud just starting to unfurl into what may or may not be the last rose of the summer…Again, everything is beautiful in its own time. Approaching one end; and another beginning…I sense that I am in a similar overlap. I am a Luddite. I am a techno geek. Today I caught the bus out of town. There was something wrong, and the automated ticket printer/dispenser wouldn’t work. 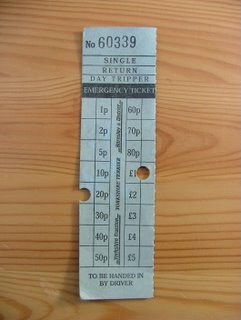 So the driver reached down and got out a book of card tickets – so old the colouration was breaking down – and a pair of metal punch-pliers, and did the tickets manually. (He gave me ‘his’ side – for records – rather than the customer’s side.) It took longer, but, far from getting impatient and complaining, all of the passengers loved it: a little trip down memory lane. 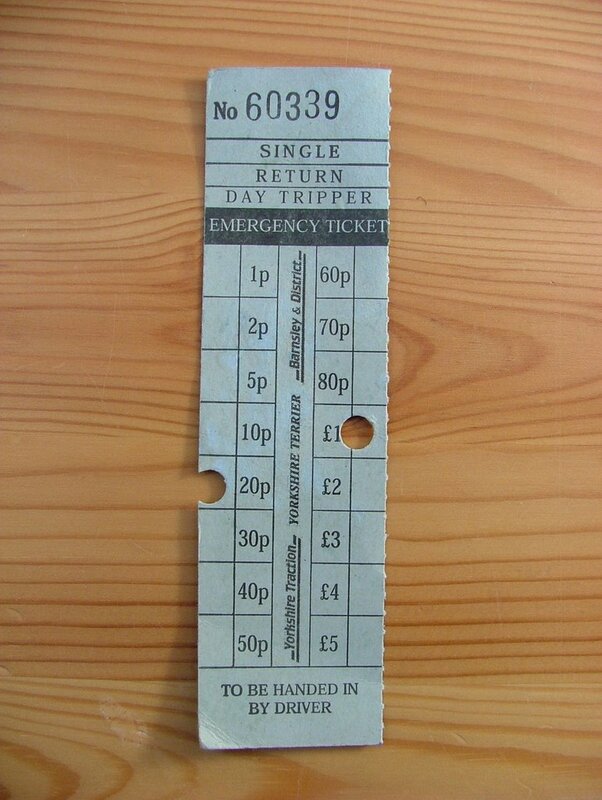 The old card tickets had soul that the paper strips lack. The paper strips get scrumpled up, stuffed into your pocket, and – hopefully – thrown into the recycling bin. And the card one will end up there too; but not straight away. Everyone took theirs away as a momento of the journey: a souvenir of the everyday trip, of the ordinary, that helped us view the ordinary with fresh eyes. It reminded me of Steve Taylor’s thoughts on spiritual tourism and the role of souvenirs as potential take-away resources for those on a spiritual journey [chapter 5, the out of bounds church?]. A few minutes later, she said: “I did love Mary, but now she’s dead I’ve found a replacement. I think she must be Mary’s sister: her shell is very similar, only she is much smaller.” At mummy’s suggestion, the snail was named Martha. 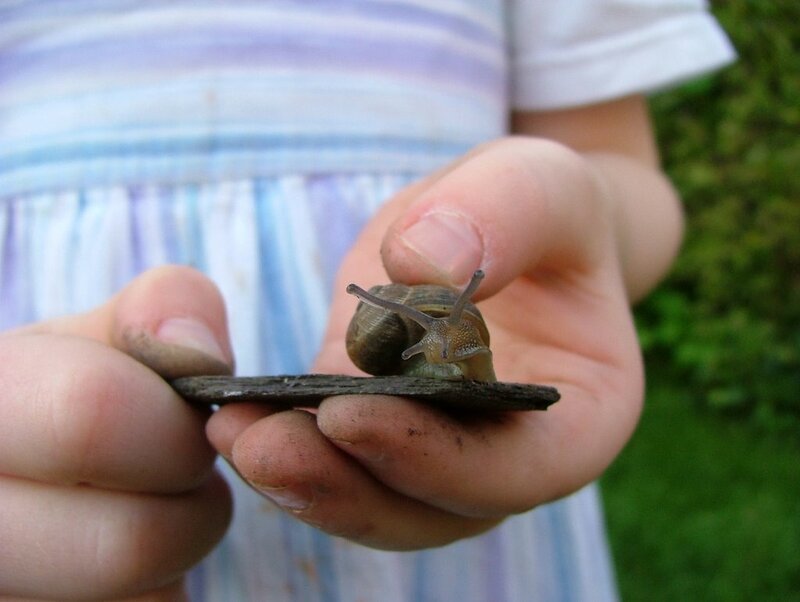 Then Susannah and Noah found another small snail, and set about making a playground for them: various leaves, stones and handfuls of soil, on a decorative slab set in the lawn. 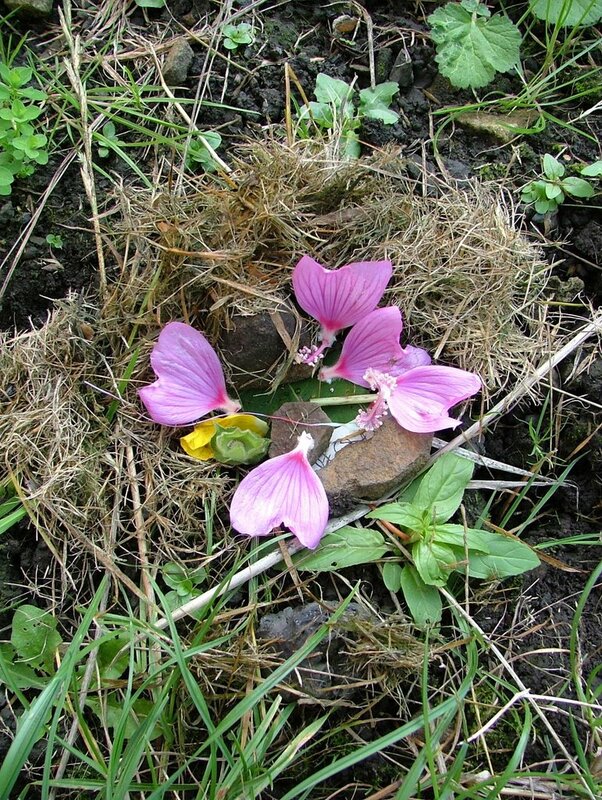 After tea, Susannah went back out into the garden and sat in a silent vigil at Snail Mary’s graveside. One of the most positive things about using the lectionary is that it exposes us to the Bible, not just our favourite parts of the Bible, or those parts we look to in order to build up a case for or against a pet or topical issue. Rather than mining scripture for what we can get out of it, the lectionary helps open us up to being mined by scripture, for what it can get out of us – the hopes and fears and assumptions and prejudices and expectations and devices and desires of our hearts, which need to be laid out in the open, brought out of darkness and into the glorious light of a God who longs for our broken selves to be made whole. Today’s readings for Morning Prayer were 1 Kings 3, and Acts 14:8-end. And what they exposed for me were the ways in which the complexity of the Bible confounds our – confounds my – attempts to prescribe living…and therefore proscribe the lives of others. Where am I demanding justice over compassion, and especially in relation to my own people? How can we ensure that in the sometimes heated dialogue between those for and against the emerging church or the ordination of women or homosexuality or charismatic gifts or mission-shaped-church or whatever it may be, that we are willing to give up what we hold dear (and I don’t mean as a means to getting it back again) in order that mercy triumphs over judgement? Do I hold the breaking-in of the Kingdom of God and its ‘already-there-in-the-background’ with equal regard? Do I attempt to ‘resolve’ what is a paradox; to make an ‘either-or’ of a ‘both-and’? Am I making trouble for anyone proclaiming Jesus, because I don’t like their particular emphasis, or don’t agree with them on every point of doctrine? Conversely, am I allowing anyone making trouble for me, or those I would consider fellow-workers, to distract me from my sense of calling as I seek to follow Jesus? Or am I pressing on, accountable to the community that sends me out and supports me? Comedian Stephen Fry’s extraordinarily candid exploration of living with bipolar disorder – Stephen Fry’s The Secret Life of the Manic Depressive (part 1 of 2) – was a welcome intrusion into our TV world tonight: serious, educational, life-affirming; bringing out into the light a mental illness more common than is diagnosed. I had suicidal breakdowns at ages 12 and 17, and have known something of the ‘manic’ side as well as the ‘depression’ side; and have also known wide extremes of mood, from reckless confidence to crippling self-loathing, among relatives. My own personality has been stable for well over a decade now; but my experience has certainly been insightful in empathising with others. I thank you, Mr Fry. Bravo! 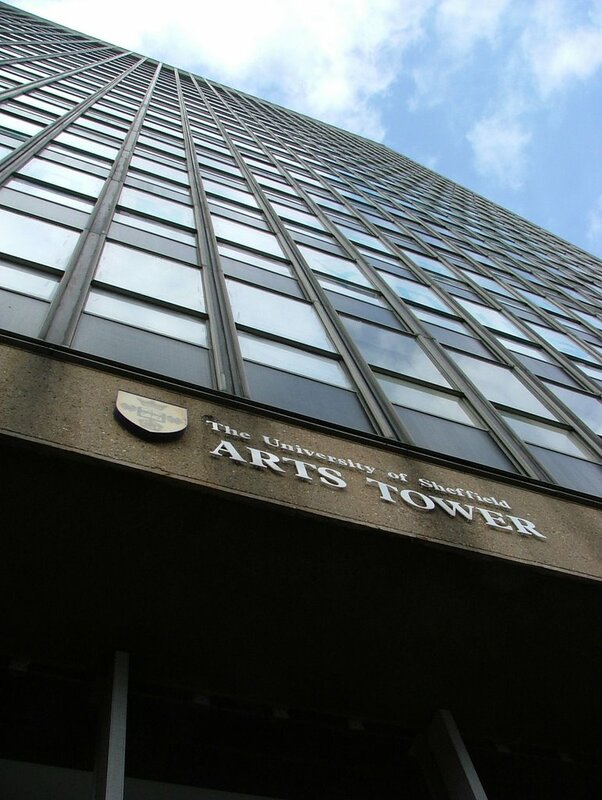 From 1991-99, I studied in the Department of Biblical Studies at The University of Sheffield. 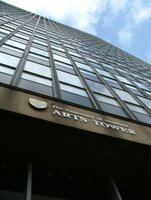 Yesterday I visited the department, on the eleventh floor of the Arts Tower, for the first time in many years. The building was opened, by the Queen Mother, in 1965; and I was always led to believe that it was a temporary measure, created with a twenty-year lifespan. But somewhere along the line some officious committee burdened the edifice – the tallest building in Sheffield, and the tallest university building in the UK, apparently – with Listed status, which means that it cannot be dismantled, but is cursed to an eternal twilight of being propped-up (eventually, perhaps, quite literally). And, while building work has continued apace on the campus, none of it has been for the benefit of re-housing the Arts. This is my 500th post on this blog-site. And what better way to mark the occasion than to write about the on-going adventures of Jamie Oliver in his quest to help us re-imagine? Tonight saw the first episode of his return to the campaign to address childhood obesity and related health/educational/social factors, by turning around standards in the provision of school dinners – and attitudes towards, and provision of, food in the home. But, as Martin Luther King taught us, a society can change (though always in an incomplete way)…and that change starts with one person who can articulate a vision – a dream – that starts to resonate with the frustrations of others, in a hope-full way. Jamie Oliver would seem to be one such visionary. UPDATE: my mistake - this was a stand-alone follow-up to the original series, and not the first of a new series. Here are my children, at the thanksgiving for the daughter of friends’ yesterday morning. Noah (3 ½) has really stepped up to the mark of being a big brother this summer, growing in physical stature. 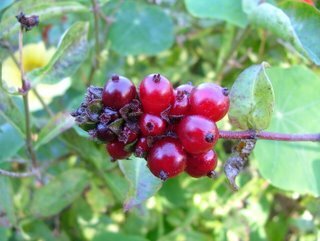 Trousers he has worn seemingly for ever suddenly end half-way down his shins; and carrying him in, asleep, from the car takes effort now that it never used to – he has thickened out, as well as stretching. Noah is the clown, who loves playing to the audience; and he can make me laugh with just one look. There is so much to the understanding of church and mission emerging (for want of a better word?) from the ‘emerging church’ that I find extremely helpful; but one thing that troubles me is the profound dis-ease with signs and wonders. This seems to me to be more about reaction against other expressions of church, than arising from serious engagement with the biblical narrative we, as twenty-first century followers of Jesus, place ourselves in continuous trajectory with. The reasons for this dis-ease are articulated well by Peter Rollins in his excellent contribution How (Not) To Speak Of God: on the one hand, demonstrations of miraculous power may be seen as forcing a positive response, leaving the one who experiences them no alternative, akin to the crusaders ‘winning converts’ at sword-point; and on the other hand, such an approach may result in people choosing to respond positively for what they can get out of God, rather than out of love for God. Both these possibilities are undoubtedly real. And yet. And yet, we have to face up to the Gospel representation of Jesus as one who worked miracles, and who delegated his power and authority to his disciples to do the same – first twelve, then seventy-two, and then through all generations until his return. Jesus healed the sick, out of compassion, and in order to set those held captive through sickness by satan free. With healing came the invitation to live life differently, to follow him (whether that be physically following him or following his example). It would appear that some, but not all, did – the experience did not violate their free will – and that those who followed did so for a variety of reasons: curiosity, self-interest, love, ultimately incorrect Messiah theology…or a complex mix of several motives. And as people followed, so their understanding was challenged and their motives were confronted…Some chose to go back to their previous way of life; others, to carry on following, being challenged, being confronted, being changed. 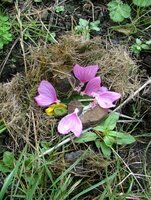 Their initial reasons for following were not what mattered, so much as the ongoing, evolving, nature of their following. Anything can be abused; but that is not reason to reject the thing in question. Any expression of the Church that rejects the place of signs and wonders in her mission rejects the One who sends us out with the command to go into new neighbourhoods and heal the sick, raise the dead, and bring freedom to the demonised we find there, as evidence that God comes to set his people free. Time flies. Thank you, once again, to all those who opened their homes and their hearts to us, up and down the scenic West Coast Highway. It’s interesting how what you do effects what you see. 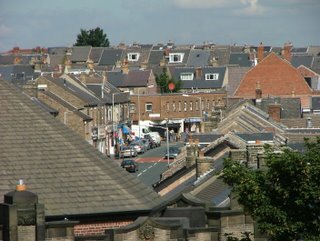 Crookes is a traditional, predominantly working class, community; essentially a village within the city (as so many parts of Sheffield, divided up as it is by hills and valleys, are). The ‘traditional’ community is an aging one. 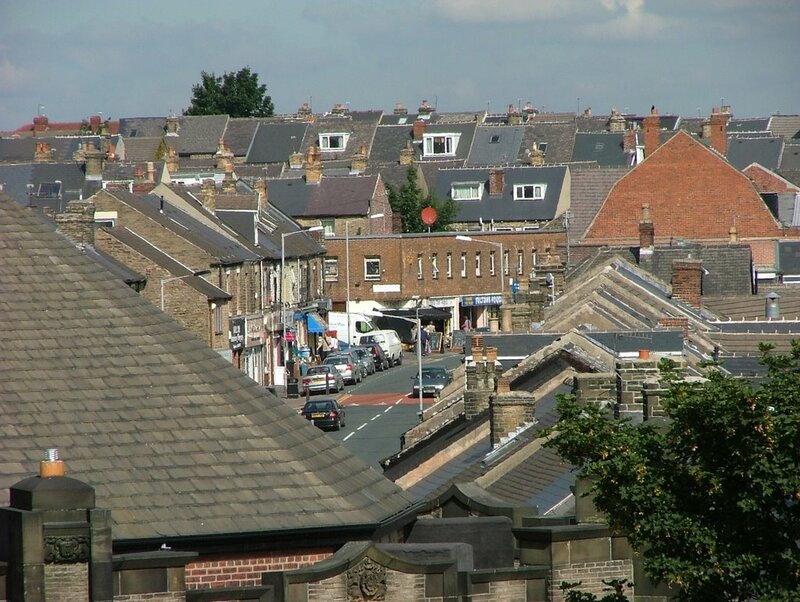 But its proximity to the University means that Crookes is also full of students for nine months of the year; and of those who graduated perhaps over ten years ago and stayed on, marrying and having children (today’s graduates can’t afford to buy here now). Although I’ve lived in Sheffield since 1991, I’ve only lived in Crookes since the start of this year. In the past I have worked in Crookes, for the church, and predominantly with students; and now I’m working in Crookes again, at a sheltered accommodation for adults with Cerebral Palsy or Spina Bifida. My current job brings me into regular contact with Sheffield City Council homecare workers, who come out to elderly or disabled people in their own homes, to help them wash and dress, and do their shopping. And as I walk to and from work along the main street, Crookes seems to be crawling with homecare workers, in their blue tunics, going about their business like ants on a leaf-pile. They will have been there before, but then I didn’t see them; now, every way I turn, they’re there. What you do effects what you see – and what you don’t see. What do you do? What do you see? What don’t you see, right there before your eyes? When later interviewed, the neighbours of the young men all said that there was nothing in their growing up – in the bosom of their community – to distinguish them from all the other boys, boys with their ambitions to be shopkeepers and doctors; nothing to suggest the sinister arc that was to come. And yet, somewhere along the line, these few came under the influence of older men, ideologues and war-mongers, who took them off to training camps far from the prying eyes of the world and systematically filled their heads and hearts with doctrines of superiority, and hate; who taught them in the ways of weaponry and art of war. They returned home, these who had gone off mere boys and come back men with zeal burning in their eyes; and said goodbyes, and met up with their comrades once again. On American soil, they had flying lessons; and then, one fateful day that changed the world forever, they took control of planes and flew over a proud skyline, targeting its famous towers, obliterating steel and stone; and leaving only widows and orphans in their place. How should we feel about these young men; and about the older men whose orders they carried out? And does it make a difference whether the men in question are those who planned and executed the destruction of the Twin Towers; or the Shock and Awe destruction of Baghdad? God of the Holocaust People, be with all those made scapegoats to justify the evil in our own hearts this night and always; and save us from the making of scapegoats – save us from ourselves. Amen. 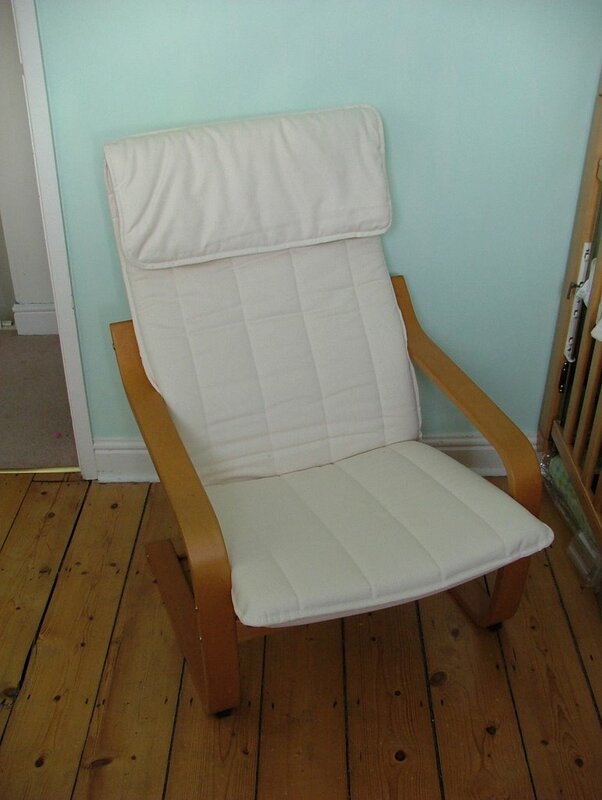 IKEA furniture – perhaps epitomised by the Poang chair – has come to be omnipresent, the Home Furnishing of the hoi polloi, and as such you either love it or you hate it. I love IKEA, perhaps in part because I have enjoyed my trips to Sweden and appreciated my Swedish friends so much; but also because I like the design ethos, and many of the designs. I understand the ‘down-side’ of ‘the IKEA principle’: those who think it a shame to see furniture (in this example) divorced from local materials, local designers, the local economy; and/or who believe that just because something is good in its original context doesn’t mean it should be reproduced globally. But, I’m inclined to think that such concerns are a little naive: we can point to many historical precedents of exported design, such as the European fashion for Chinoiserie (Dutch pottery, French wallpaper, English cabinets, all in a ‘Chinese’ style); or Classical architecture, which ‘globalised’ ancient Greco-Roman forms. Moreover, what do the terms ‘local’ and ‘global’ really mean these days? Depending on the context, ‘local’ to me may mean my neighbourhood, the city I live in, the region it is in, the UK, or the European Union. • IKEA designers start by deciding the price tag – i.e. with a given customer profile in mind – and work from there, so that the result is a range of solutions for a range of pockets. In other words, the packages are not only applicable to / practical for a select few. • In constructing the furniture myself, I am involved in the process of creating something that is both functionally appropriate in my own context and aesthetically pleasing, without having first to have done years of professional design training at Art College or a carpentry apprenticeship. • The design catalogue addresses both the home and the workplace environment. • There is enough choice in the catalogue to create a combination that is individual / context-specific, while sharing the basic elements with many others. Yesterday was the end of summer. 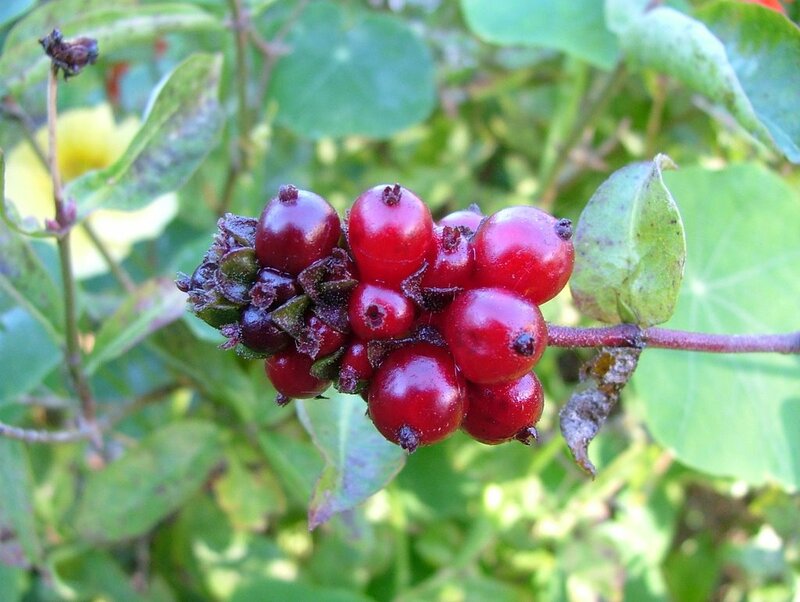 Today was the start of autumn. I felt it in the cold air that evaporated the sweat off my back after I had mowed the lawn; felt it in my intercostals. Susannah went back to school on Wednesday; Noah went back to nursery on Thursday. And a change is in the air; a new season. 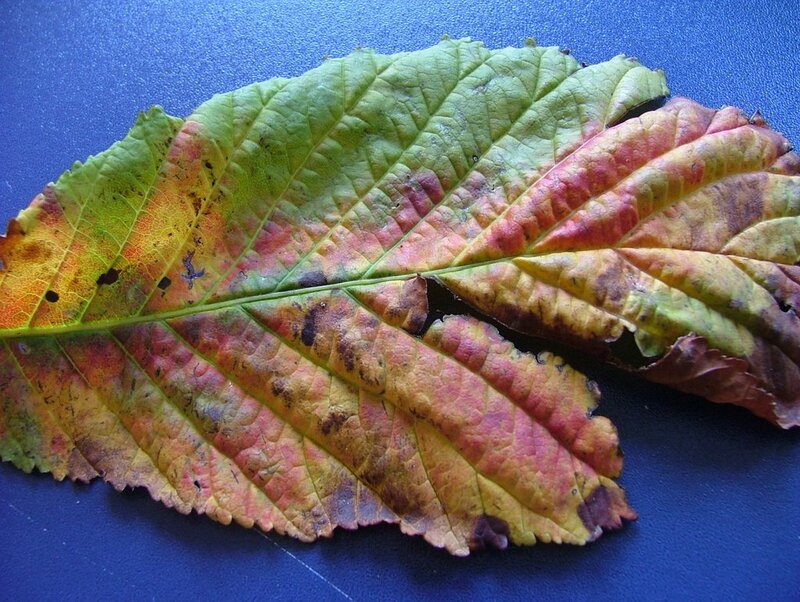 You can’t beat a crisp, dry autumn. As we approach the fifth anniversary of 9/11, the Twin Towers will fall again and again before our eyes this week; breaking-into our living rooms; breaking into our lives; silently disrupting our clamorous demands that we be entertained. These are among the most iconic images of our generation: iconic in the cultural sense of being instantly recognisable, fixing us in time and space…but also iconic in the religious sense, of being an image in which we encounter God, gaze upon him and feel his gaze upon us. I do not believe that the destruction of the twin towers of the World Trade Centre was God’s will, an act of divine judgement on the West. And yet, I do believe that standing at Ground Zero we, as westerners, (can, and ought to) encounter God’s judgement. 9/11 was a ‘kairos’ event, a moment where life, as we know it, is interrupted – rudely, violently interrupted – allowing the Kingdom of Heaven to break-into the world, to fill and transform the vacuum. For those who fell, and cried out to God in their falling, I believe the Kingdom of Heaven broke in with mercy and with rescue, if not of the body, of the soul. For those who witnessed the events first-hand, not mitigated by a TV screen; and for those who lost loved ones in the pillars of fire and cloud; I believe that the Kingdom of Heaven was, and remains, available, in the here-and-now, for healing. But for us as a wider community, who by our actions and our refusal to act have endorsed a global economy that exploits two-thirds of the world, I do believe the Kingdom of Heaven broke in, for those with eyes to see and ears to hear, with judgement. The choice of the ‘World’ Trade Centre was not arbitrary; nor was its concerted targeting wrong – though the means of targeting was utterly evil. But what concerns me as much, perhaps more than, the acts of terror is the response of the West. Presented with a moment for repentance, we chose defiance. Presented with an opportunity to re-evaluate our society, we chose to redouble our efforts to continue on the same path as before. Presented with the possibility of opposing and defeating evil through choosing to love our enemies and laying down our lives for another – sacrificing our monetary security so that fewer children might die needlessly in Africa, for example – we chose to attempt to oppose and defeat evil by its own means, at its own game…and have succeeded in fuelling the fires and cause of terror against us. Like his sister and brother before him, Elijah will be baptised as a baby. Baptism is the sign of the covenant-agreement between God and humanity inaugurated by, and in, Jesus; biblical covenant-agreements are by definition made between two parties and their children/descendants, so that the children of the parties are in the covenant community until such time as they opt out, as opposed to being out until such time as they opt in; and as such children bear the sign of the covenant into which they are included. While I value the many things I have learnt from Christians of traditions that dedicate, rather than baptise, their children – and, indeed, love being part of a local expression of the Church that practices both (Anglican) paedo-baptism and (Baptist) dedication – I honestly believe that the dedication tradition that arose in certain expressions of the Church within the Modern historical era flows from an inadequate theology of covenant; allowing a reactive response to indiscriminate paedo-baptism that literally threw the baby out with the bath-water. While we waited for Elijah to be born, we thought seriously about whom to ask to be godparents. We know that we cannot raise children on our own; we need the help of the community around us; and our tradition appoints certain individuals to be representatives of that wider community – that do not absolve the wider community from its role, but are ‘effectual signs’ (that is, signs that have the power to effect a change – in attitude, in behaviour – in the viewer) to the community to remind them of their role; to us to remind us that we have the support of the community; and to Elijah to remind him of both these aspects. The community of which I am speaking is first the Church (the family of God), but also the wider community of humanity (the children of God). As we did for Susannah and Noah, we chose two couples. But unlike before, only three of the people we have asked would consider themselves to be a Christian, and able to make the liturgical promises of the Church before God. Elijah will have a godfather, two godmothers, and – I don’t know what the term might be, but it isn’t a lesser or second-rate appointment. In the particular Christian tradition we come from, that might be a controversial decision, or even an error. I am committed to the human activity of evangelism, or, proclaiming God’s good news; and the divine activity of conversion, the process whereby the fractured image of God is restored, by degrees, in a human being. And that means that I must be open to being evangelised, daily, myself – even by someone who does not claim to speak for God but through whom God can reveal Jesus to me – or to my children – nonetheless. That is not relativism: I believe that God is reconciling all things uniquely through Jesus; but recognise that God is not limited to acting through the Church alone in this. I trust my children to the care of all their [god]parents; and entrust them into the greater care of the God to whom all those friends, ultimately and inadequately, point.